Latchways plc of Devizes has developed two different test rigs for fall arrestors. Both rigs use TorqSense transducers from Sensor Technology. Latchways’ ManSafe solutions are used in sectors as diverse as aerospace, power distribution and utilities, telecommunications, roofing, construction and building maintenance. ManSafe systems can work horizontally, vertically, along inclines and overhead, and can be installed permanently or temporarily. The first test rig is called the Personal Rescue Device Brake Test Machine. This is used as an integral part of the manufacturing process and is designed to test the braking operation of the chassis, main gear and drum subassembly of the arrestor, prior to application of the rope. 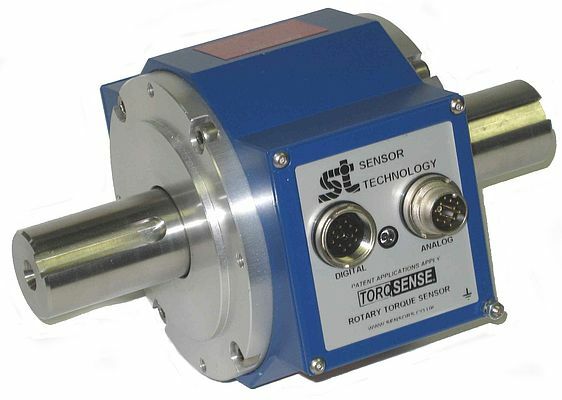 TorqSense is an easy-to-use, non-contact sensor. It is simply mounted close to the test piece and takes its reading via a radio frequency signal, which it bounces off the shaft. The returning signal has its frequency changed in proportion to the torque, due to a pair of tiny piezoelectric combs glued onto the shaft, which distort, due to the rotation of the shaft. This concept was invented and patented by Sensor Technology, and is an established favourite in many fields including test and evaluation, and research and development, where the rapid changeover of test pieces is not hampered by the need to reset slip rings. This ease and speed of use is particularly appreciated in environments like Latchways, where test is an integral part of manufacture rather than a separate function.